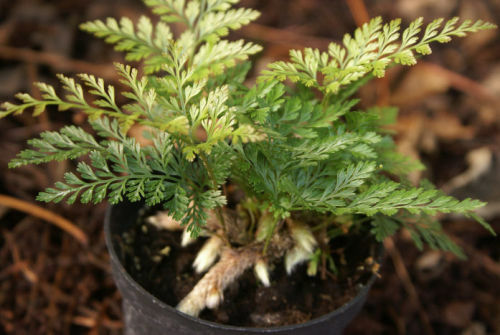 A very attractive and unusual fern, it creeps along surfaces with thick, furry rhizomes. They are stunning grown by streams in milder sheltered areas. For colder areas they are fantastic plants for hanging baskets.